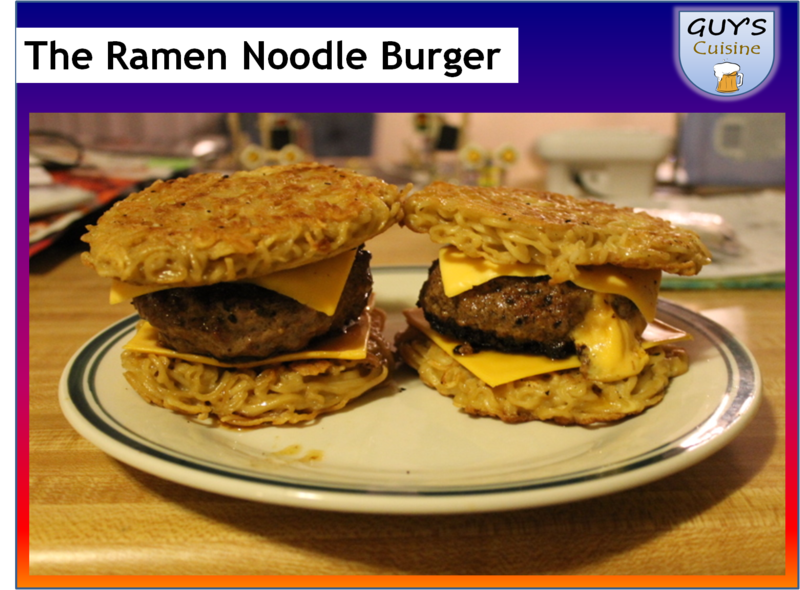 UPDATE: Here is a cooking video showing you how to make the ramen noodle burger! The latest food trend around the world involves the cheeseburger. No, it’s not about the meat or toppings, it’s involves the buns! This burger got started by Keizo Shimamoto at Brooklyn’s Smorgasburg. And when the Ramen Burger was added to the menu, long lines formed outside the door! 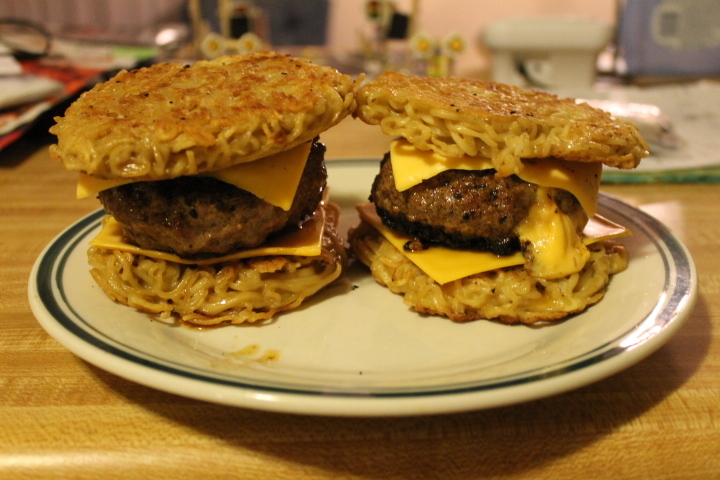 This burger is nestled between two eggy ramen buns instead of the normal bread buns used for burgers. And I decided to give this burger a shot after seeing this video from Pop Sugar. And for the spice mix for the burger, this is what you need! 1. 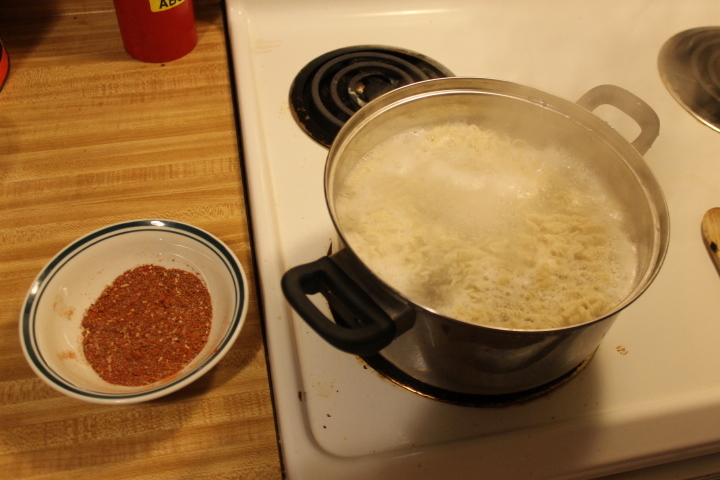 Cook the ramen according to the directions on the package and use the seasoning, then drain off the liquid. Let cool to room temperature. 2. Whisk one egg in a bowl, then take half of the cooked ramen and add to the bowl and mix together. 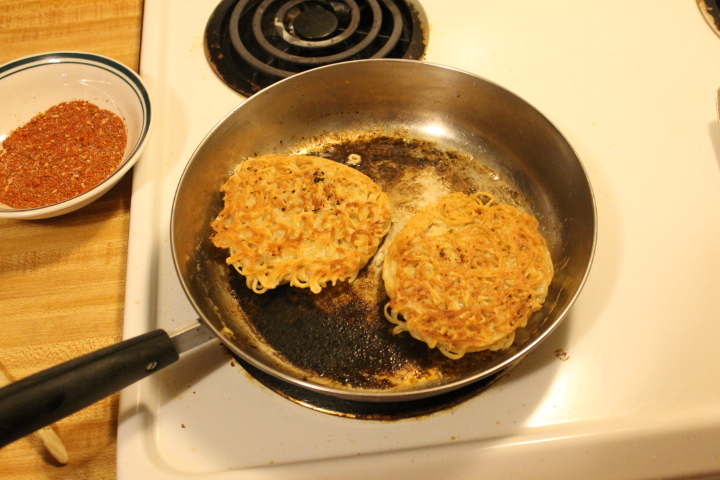 Take another egg and whisk together, then add the other half of the cooked ramen and mix together. 3. 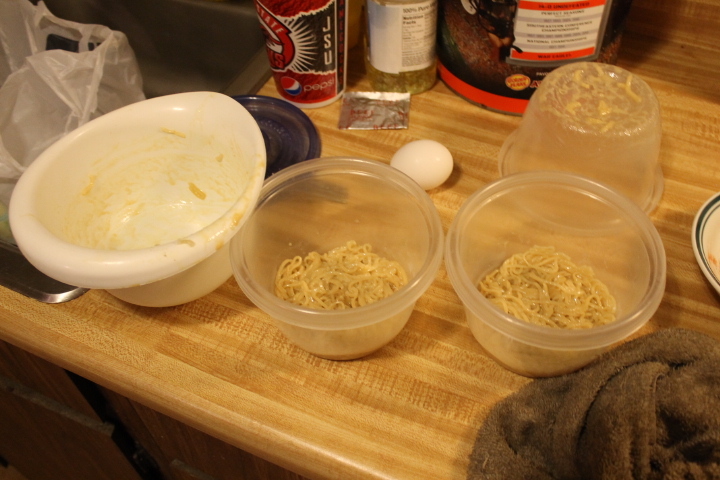 Take half of the ramen mixed with the egg, and place into a ramekin or plastic bowl. 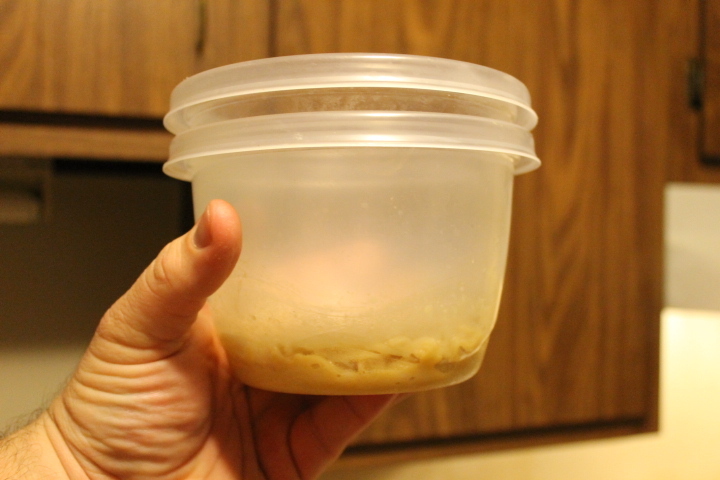 Use another bowl or a can and push down on the ramen to compress it into a bun shape. Do the same thing with the other half! Refrigerate for 15-30 minutes. 4. Heat a saucepan and place oil in it. 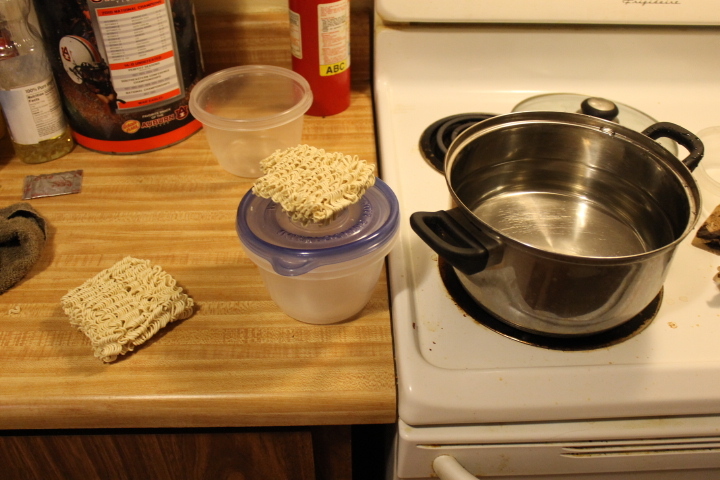 Take a spatula and go around the edges of the ramen noodles to loosen it, then dump the ramen noodles into the hot saucepan. 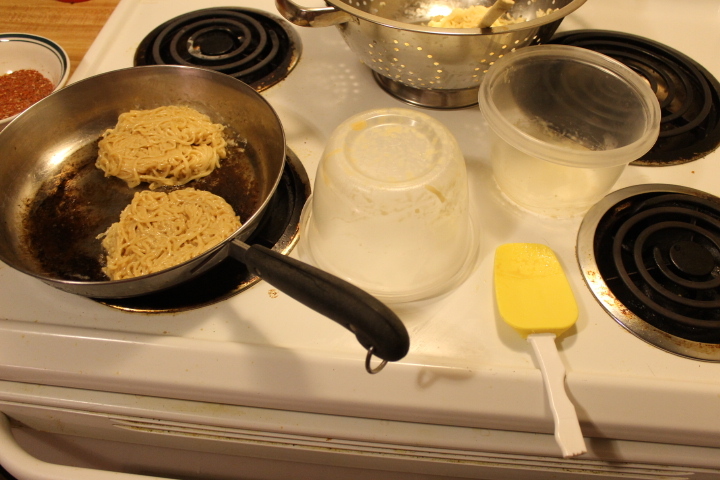 If it does not consist of a round patty, use the spatula to push the noodles into a round object. 5. Cook on each side over medium heat until golden brown or around 5 minutes. 6. 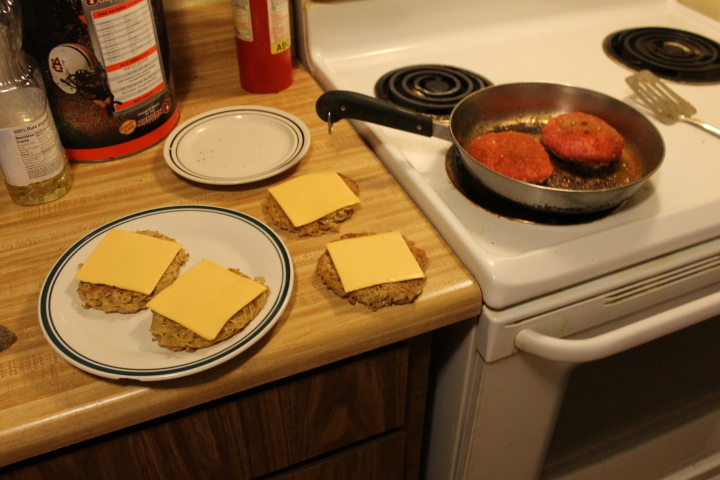 Use the spice mixture to season your burgers, and cook your burgers until done. Assemble your burgers with any toppings you want and enjoy! You are going to love making these burgers and you might never look at the bread buns the same way ever again!